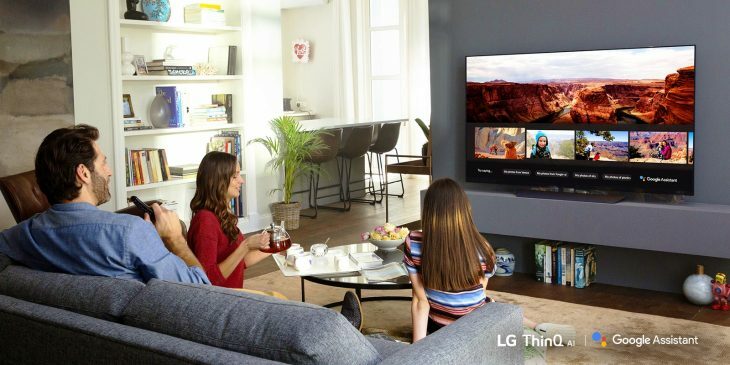 While LG will be sticking with their WebOS operating system for their Android TV, they’ve today announced the long awaited integration of Google Assistant into their 2018 line of ThinQ AI enabled smartTVs. The 2018 line of LG TVs will incorporate Google Assistant in the familiar format, allowing users to manage different tasks, find answers, or control smart home devices through their TV – or more correctly through the TV’s remote control by holding down the mic button. The integration will also work in the reverse, with customers able to send commands to the TV from other Google Assistant enabled smart speakers. With the Google Assistant now available natively in 2018 LG AI TVs, I believe we’re going to see a whole new level of AI adoption in the home. LG’s unique partnership with Google allows us to be the first TV brand to offer the Google Assistant on our own OS which is a huge benefit for customers who are fans of webOS. With great partners like Google, we expect there to be many more exciting AI news to come from LG. LG says that their 2018 AI-enabled TVs will work with other Google Assistant devices in the U.S., U.K., Canada and Australia with further expansion to be announced later this year.